The 5th Azerbaijan International Conference of Beekeepers will be held in Baku on January 26-27, Trend reports with reference to the Agriculture Ministry. Representatives from Germany, Turkey, Russia, Ukraine and Georgia will come to share their experience with local beekeepers. The representatives of relevant government agencies, public associations and businessmen will also attend the event. The conference will discuss issues of preventing bee diseases, increasing the yield in beekeeping, supplying beekeeper products to local and foreign markets. The event will be held in Dubai International Hotel in Baku. The rich climate of subtropics, the riotous diversity of flora and the valuable qualities of local bees - these are the favorable natural conditions of Azerbaijan, which contributed to the maintenance of the centuries-old tradition of beekeeping in Transcaucasia. During the excavation in The Azokh Cave, where one of the most ancient settlements of the primitive man was discovered, a bowl with the bee depicted on it was found, which once again proves that beekeeping has deep roots in Azerbaijan. Honey is used in the treatment of many diseases in folk medicine as well as in our daily lives. Currently, Azerbaijan is doing its best to contribute to the rehabilitation and further development of beekeeping by creating favorable conditions for beekeepers. Climatic conditions and rich vegetation are the main factors that contribute to the development of beekeeping in our country. There are about 600 species of honey plants in Azerbaijan, of which almost 200, as a source of nectar and pollen, create even greater natural opportunities for the expansion of beekeeping. Annual honey production in the republic is 3,000 tons, and honey consumption is 5,000 tons. Most of bee families are located in Zagatala (17,097), Astara (12,429), Gakh (9,125), Lerik (8,669) and Balakan (8,581). 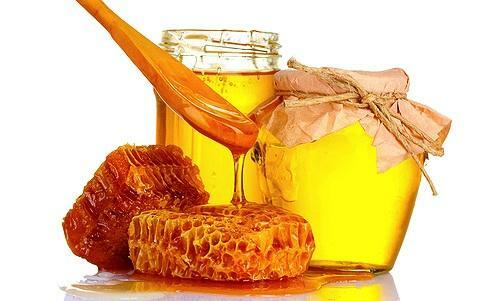 In 2018, 3,000 tons of honey were produced in Azerbaijan. Moreover, 65-70 percent of the country's population is provided with honey produced in the country. The number of bee colonies increased in 2018 compared to 2017. According to the available data, there were 300,000 bee colonies in Azerbaijan. However, presently, there are 400,000 bee colonies and grants have been given for the maintenance of 270,000 of them. It is expected that the number of colonies will reach 500,000-600,000. On average, each bee colony gives up to ten kilograms of honey. If certain measures are carried out, volume of honey from each bee colony can be increased up to 25-30 kilograms. Presently, about 6,000 people are engaged in beekeeping in Azerbaijan.